Her own party and the Poll Tax brought her down. God bless her. May she rest in peace. A great leader in the days of chaos. We could use such leadership now to bring Britain back to herself and not committed to socialist Europe. Very ill today. Please pray. For three Thereses, one who is going back to her old, bad ways, one who has migraines and one who is confused as to her vocation..
One last post on this amazing saint; (By the way, one could do worse than to have part of the home schooling curriulum be his twenty volumes in both English and Latin.) If everyone in the Church pursued perfection, the Body of Christ would be perfected. This is the key. We do not merely pursue perfection for ourselves, but for the good of the entire Bride of Christ, the Church. distinguished with the favor of a handsome appearance. am, redeemed as I am by the blood of Christ. Isidore took what was natural, such things as astronomy and medicine, and saw these all in the light of God's gifts to humans. Flowers, herbs, gems, games, animals, laws, legal systems, architecture, rural boundaries, measurements, ships, clothing, colors, tools for building, tools for art, household items, food, recipes, vocabulary are all gifts, and he covers them all. Here is Isidore on the soul, spirit and mind. inspires (inspirare) in the body. are adjoined to the soul in such a way that it is one entity. breathes forth, sense (sensus) when it senses something. 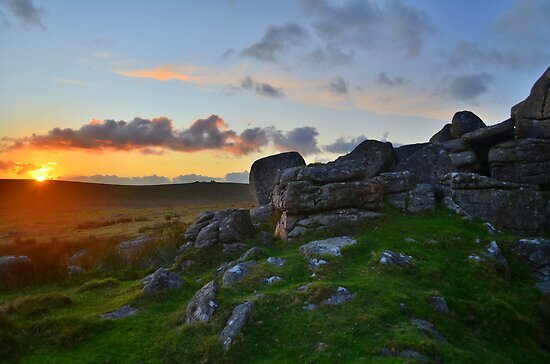 If you have not been to Dartmoor, go soon. It is such an area of beauty for many reasons. The sunsets are drop-dead gorgeous. Sadly, I am too ill to enjoy what I wanted to enjoy...never mind. And a site with many wonderful paintings of this sacred event is found here. INTRODUCTION 1. The Church, Spouse of the Word, takes the mystery out of their exclusive union with God, in an exemplary manner in which they delivered to the wholly contemplative life. For this reason the Apostolic Exhortation Vita consecrata presents the vocation and mission of cloistered nuns as "a sign of the exclusive union of the Church as Bride with her ​​Lord, whom she loves" (1) highlighting the singular grace and precious gift in the mystery of holiness of the Church. 2. Since Vatican II, several documents of the Magisterium have deepened the meaning and value of this kind of life, promoting the contemplative dimension of the cloistered communities and their specific role in the life of the Church, (8) especially Council Decree Perfectae caritatis (n. 7 and n. 16) and Section Venite seorsum , who presented the basics so admirable evangelical theological, spiritual and ascetic detachment from the world with a view to a total and exclusive devotion to God in contemplation. This Instruction, while reaffirming the doctrinal foundations of the proposed closure by InstructionVenite Seorsum (I-IV) and the Exhortation Vita consecrata (n. 59), establishes the rules that should govern papal enclosure of nuns dedicated to the wholly contemplative life. The ancient spiritual tradition of the Church, followed by the Second Vatican Council explicitly connects the contemplative life to the prayer of Jesus "on the mountain" (11) or in any case, in a solitary place not accessible to all, but only those whom He calls them, in a secluded place (cf. Mt 7, 1-9; Lk 6, 12-13; Mk 6, 30-31; 2 Pt 1, 16-18). The Son is always united to the Father (cf. Jn 10, 30, 17, 11), but in life there is a space, are special moments of solitude and prayer meeting and fellowship, to the joy of divine filiation. So he shows the loving perennial tension and movement of his Son towards Him who begot him from eternity. This association of the contemplative life to the prayer of Jesus in a solitary place suggests a way of sharing in Christ's relationship with the Father. The Holy Spirit who led Jesus into the wilderness (cf.Lk 4, 1), invites the nun to share the loneliness of Jesus Christ, that through the "eternal Spirit" ( Heb9, 14) offered to the Father. The solitary cell and cloister are closed where the nun, wife of the Incarnate Word, collection fully lives with Christ in God. The mystery of this communion is manifested in so far as, docile to the Holy Spirit and enlivened by his gifts, listen to the Son (cf. Mt 17: 5), staring at his face (cf. 2 Cor 3, 18 ), and allowed to settle for his life, until the supreme sacrifice to the Father (cf. Phil 2, 5S) as expressed praise of glory. The closure, even in its physical form, is, for that reason, a particular way of being with the Lord, to share "the annihilation of Christ through a radical poverty manifests in renunciation not only of things but also the "space", of contacts, of so many goods of creation "(12) the fruitful silence of the Word on the cross. It is clear then that "withdrawal from the world to devote himself to a life of loneliness more intense prayer is non other than a particular way of living and expressing the paschal mystery of Christ" (13) a true encounter with the Risen Lord in a continuous path of ascension to the Father's house. 4. The history of God with mankind is a history of spousal love, prepared in the Old Testament and held in the fullness of time. The Divine Revelation describes bridal image intimate and indissoluble relationship between God and his people ( Os 1-2, Isaiah 54, 4-8, Jr 2, 2; Ez 16; 2 Cor 11, 2, Rm 11, 29) . The Son of God is presented as the Bridegroom-Messiah (cf. Mt 9, 15, 25, 1), come to conduct the marriage of God with humanity, (16) in a wonderful exchange of love that begins in the Incarnation, reached the summit on the Passion sacrificial and life as a gift in the Eucharist. The Lord Jesus pours into the hearts of men and their love of the Father, make them able to respond fully, through the gift of the Holy Spirit, which always begs the Bride: "Come" ( Rev. 22: 17). This fullness of grace and holiness is realized in "the Bride of the Lamb ... coming down out of heaven from God, having the glory of God "( Rev. 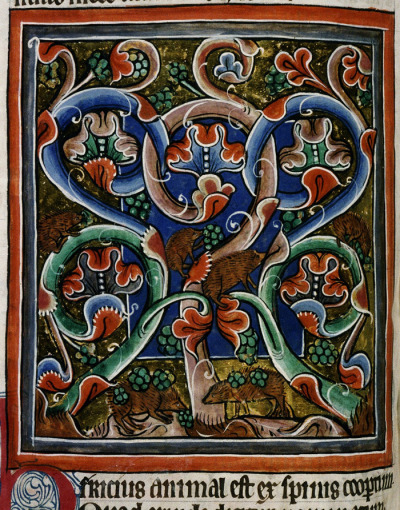 21: 9-10). 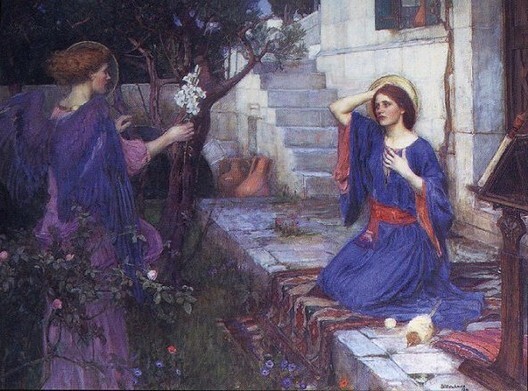 In a still more significant and radical, the mystery of the exclusive union of the Church as Bride with the Lord is expressed in the vocation of cloistered nuns, precisely because his life is totally dedicated to God, loved, in constant tension towards the heavenly Jerusalem, and in anticipation of the eschatological Church; fixed in the possession and contemplation of God, (18) is a call to all Christian people to the fundamental vocation of everyone to an encounter with God, (19) representation of the goal toward which the whole ecclesial community walks, (20) that will live forever as the Bride of the Lamb. Through the close, the nuns held the exodus of the world to find God in the solitude of 'cloistered desert ", which also includes inner solitude, the evidence of the spirit and the daily toil of common life (cf. Eph 4, 15-16), so spousal sharing the loneliness of Jesus in Gethsemane and his redemptive suffering on the cross (cf. Gal 6, 14). In light of this, the nuns relive and perpetuate the work of Mary Church. Welcoming the Word in faith and worship in silence, are at the service of the mystery of the Incarnation, and united to Jesus Christ in his offering to the Father, become partners of the mystery of redemption. Just as Mary, with her prayerful presence in the Upper Room, guarded in his heart the origins of the Church, and loving heart and praying hands of nuns entrusted with the path of the Church. 5. The closing ascetical means of immense value, (23) is well suited to life wholly devoted to contemplation. It is a sign of God's holy protection to her child and is, moreover, a special form of belonging to him alone, because all signals absolute dedication to God. This is a typical mode of living adequate spousal relationship with God in oneness of love and without undue interference from people or things, so that the creature, directed and absorbed in God, can only live for the praise of his glory (cf. Eph 1, 6.10-12.14). The nun fulfills the highest degree the first commandment of the Lord: "Love the Lord your God with all your heart and with all your soul and with all your strength and with all your mind" ( Lk 10, 27), making this the full meaning of his life and love of God to all brothers and sisters. She tends to the perfection of charity, choosing God as the "one thing necessary" (cf. Lk 10, 42), loving him exclusively as the All in all things, holding him with unconditional love, in the spirit of waiver proposed by the Gospel (24) (cf. Mt 13, 45, Lk 9, 23), the sacrifice of all good, that is, "making sacred" to God alone all right, (25) so that only dwells in the silence of the cloister, filling it with his word and presence, and the bride can truly engage the One, "in constant prayer and ardent penance" (26) in the mystery of a total and exclusive love. It is therefore necessary for the person, free from all attachment, restlessness or distraction, interior and exterior, gather her faculties turn to God to accept his presence in the joy of worship and praise. This yearning for fulfillment in God, in an unbroken heart nostalgia with unceasing desire turns to contemplation of the Bridegroom, feeds the ascetic commitment of the nun. Wholly absorbed by its beauty, is in the closure of his house early grace and bliss of the vision of the Lord. Refined by the purifying flame of the divine presence, is prepared full bliss in his heart singing the new song of the redeemed, on the Mount of sacrifice and offering, temple and contemplation of God. Thus, the regulation of the closure, in its practical aspect, should be sufficient to achieve this lofty ideal contemplative, involving the entire delivery of care integrity, unity and coherence feelings behaviors. 6. Cloistered nuns, for their specific call to union with God in contemplation, are firmly in ecclesial communion, becoming a unique sign of intimate union with God of the whole Christian community.Through prayer, especially the celebration of the liturgy and its daily offering, interceding for the whole people of God and join the thanksgiving to the Father of Jesus Christ (cf. 2 Cor 1, 20, Eph 5, 19-20 ). Thanks to mutual love, the fraternal life is the enlightened space in which we experience the presence of the Risen Lord: (36) in a spirit of communion, grace nuns share the same vocation with members of their own community, helping each other to walk together and advance together, harmonious and unanimous, to the Lord. Nuns With monasteries of the Order's commitment to grow in fidelity to specific charism and spiritual heritage, working for it, if necessary, in the methods provided by the constitution. By virtue of their vocation, that is at the heart of the Church, nuns undertake special way to "think with the Church" with sincere adherence to the Magisterium and unconditional obedience to the pope. 7. "The pilgrim Church is by its very nature missionary"; (37) Therefore, the mission is also essential for Institutes of contemplative life. (38) The nuns dwelling at the heart of the Church's mission through continuous prayer, the offering of themselves and offering the sacrifice of praise. Thus, his life becomes a mysterious source of apostolic fruitfulness (39) and a blessing to the Christian community and to the world. 8. The monastery is the place guarded by God (cf. Za 2, 9), is the abode of his unique presence, the image of the store of the Alliance, which is performed daily encounter with Him, where the thrice Santo occupies the entire space and is recognized and honored as the only Lord. A contemplative monastery is also a gift to the local church, to which he belongs. Representing the prayerful face, more complete and meaningful presence of Church. (49) may be compared with Moses a monastic community, which in prayer determines the fate of the battles of Israel (cf. Ex 17, 11), and the guard who keeps the night waiting for the dawn (cf. Is 21 , 6). The monastery is the intimate to a church, the heart, where the Spirit always moans and begs for the needs of the whole community and which rises unceasingly Thanksgiving for Life every day He gives us (cf. Col 3, 17). It is important that the faithful learn to recognize the charisma and the specific role of contemplatives, her discreet but vital, silent testimony constitutes a call to prayer and the truth of God's existence. The bishops, as pastors and guides of all the flock of God, (50) are the primary custodians of contemplative charism. Therefore, they must nurture contemplative communities with the bread of the Word and the Eucharist, offering where necessary, adequate spiritual assistance through trained priests. At the same time, have to share with the community the responsibility to see that in today's society marked by dispersion, lack of silence and illusory values, the life of the monasteries, sustained by the Holy Spirit, remains genuinely and wholly directed to the contemplation of God. A spirit of freedom and hospitality, "in the bowels of Christ" (52) nuns carry in their hearts the sufferings and anxieties of those who seek their help, and all men and women. Deeply attuned to the vicissitudes of the Church and the people of today, spiritually collaborate in building the Kingdom of Christ that "God may be all in all" ( 1 Cor 15, 28). THE CLOSING OF THE NUNS 9. Monasteries devoted to the contemplative life have found the enclosure, from the beginning, and in a unique way, a proven help fulfill his vocation. (53) The particular demands of the separation of the world have thus been received by the Church and canonically ordered for the good of the contemplative life itself. Therefore, the regulation of the cloister is a gift, for it protects the founding charism of the monasteries. Each institute should contemplative faithfully maintain their way of separation from the world. This loyalty is essential to the existence of an institute, which in fact exists only while maintaining adherence to the pillars of the original charism. (54) Therefore, the vital renewal of the monasteries is essentially linked to the authenticity of the search for God in contemplation and the means to achieve it, and should be considered genuine when it restores its original splendor. The role, responsibility and joy of the nuns to understand, preserve and defend firmly and intelligently their special vocation, safeguarding the identity of the specific charism against any internal or external pressure. Since a commitment to God, and stable binding more fully expresses the union of Christ with the Church, his Bride, papal enclosure, with its particularly rigorous form of separation, better manifests and complete dedication of the nuns to Jesus Christ. It is the sign, the protection and the form (56) of the wholly contemplative life, lived in the totality of the gift, which comprises the integrity not only intentional, but real, so that the Lord Jesus is truly the only nostalgia and sole happiness of the nun, exulting in waiting and radiant in contemplation of his face early. A real world separation, silence and solitude, express and protect the integrity and identity of the wholly contemplative life, to be faithful to its specific charism and the sound traditions of the Institute. 11. Wholly contemplative life, to be considered as papal enclosure must be ordered completely unique and achieve union with God in contemplation. c ) implements the separation of the world that is practical and effective, (60) not merely symbolic.Any adjustment of the external forms of separation must be such that "separation is preserved material" (61) and must be submitted to the approval of the Holy See. 12. The monasteries of cloistered nuns professing the contemplative life, but associated with the primary role of any apostolic worship or charitable, not follow papal enclosure. The Superior may authorize the inputs and outputs according to the rules of their own law. Respecting his own identity, each monastery or monastic congregation follows papal enclosure or defined in the Constitutions. Given the variety of institutes dedicated to the wholly contemplative life and traditions, some forms of separation from the world is left to particular law and must be approved by the Apostolic See. The law can also lay down stricter rules on decommissioning. § 2. The law extends papal enclosure to the building and all spaces, internal and external, reserved for nuns. The exterior of the building separation monastic choir, the parlors and all the space reserved for the nuns must be physical and effective, not just symbolic or modality called "neutral" must be established in the Constitutions and in additional regulations, taking into account both the different traditions of each institute or monastery as local circumstances. The participation of the faithful in liturgical celebrations does not allow the output of the nuns of the closure or the entry of the faithful in the choir of the nuns, if there were guests, they can not be placed in the enclosure of the monastery. § 3. a ) Under the law of the cloister, nuns, novices and postulants must live within the enclosure of the monastery, and he is not permitted to leave it, except in cases provided by law; nor is anyone allowed to enter the area of the closure of the monastery, except in cases provided. § 3. b ) The rules on the separation of the Sisters of the external world must be defined in its own right. § 3. c ) The law of closure entails a grave obligation of conscience, both nuns and for outsiders. 15. The granting of permission to enter or exit always requires a just and grave cause, (66) is dictated by a real need for some of the nuns or the monastery. This is required by the guidance of the conditions required for the wholly contemplative life and, by the nuns, in line with their vocational choice. In itself, therefore, each input or output must be an exception. The custom of recording in a book the inputs and outputs can be preserved, at the discretion of the conventual Chapter, thereby also contributing to a better understanding of the life and history of the monastery. 16. § 1. The Superior of the monastery direct custody of the closure, ensuring the concrete conditions of separation and promoting within the monastery, the love of silence, meditation and prayer. She is the one who judges the opportunity of the inputs and outputs of the closure, valued with prudence and discretion his need, in light of the wholly contemplative vocation, according to the rules in this document and the Constitutions. § 2. The whole community has a moral obligation to protect, promote and observe papal enclosure, so that no secondary or subjective motivations prevail over the weekend proposed separation. 17. § 1. The output of the closing, except special pardons of the Holy See or in case of serious and imminent danger, is authorized by the Superior in ordinary cases relating to the health of the nuns, nuns assistance to sick, exercise civil rights and those of the monastery needs can not be met otherwise. § 2. For other worthy causes and grave, the Superior, with the consent of the Council or the conventual Chapter, as provided by the Constitutions, may authorize the removal of the time, but not more than a week. If the stay outside the monastery has to be further extended to a maximum of three months, the Superior will seek permission from the diocesan bishop (67) or the regular Superior, if any. If the absence exceeds three months, except in cases of their own health care, they must seek permission from the Holy See. Note that the norm of can. 665, § 1 concerning residence outside the Institute, does not refer to the cloistered nuns. § 3. To send novices or professed, when necessary, (69) for part of their training in another monastery of the Order, as well as for temporary or permanent transfers (70) to other monasteries of the Order, the Superior express her consent, by involving the Council or conventual Chapter, according to the norms of the Constitutions. - The Cardinals, which can have someone accompanying them, to Nuncios and Apostolic Delegates in places subject to its jurisdiction, the Visitor for the canonical visitation, the diocesan Bishop or the Superior Regular, for cause. - To aspirants and nuns own way, if so provided in their own right. 19. Can be arranged, subject to authorization of the Holy See, meetings of contemplative nuns of the same Institute, within the same country or region, which are motivated by a genuine need for common reflection, the nuns always freely agree and not happen too often. These meetings should preferably in a monastery of the Order. The monasteries that are gathered in Federations establish the frequency and the organization of the assemblies to Federal Statutes, respecting the spirit and requirements of the wholly contemplative life. 20. The rules on social media, in all its variety of forms, this tends to safeguard the gathering. Indeed, the silence of contemplation can be emptied if the closure is full of noises, news and talk. Therefore, these media should be used with moderation and discretion, (71) not only in regard to its content, but also the amount of information and the type of communication. Note that, for those who are used to the silence inside, all this more strongly affects the sensitivity and emotion, making it harder recollection. The use of radio and television in particular circumstances can afford Religious. May consent to the monastery is the possible use of other modern means of communication such as fax, cell phone, Internet, or information for reasons of work, with prudent discernment and common benefit, under the provisions of Chapter convent. The nuns are to seek to have adequate information on the Church and the world, not many news, but knowing which are essential to choose the light of God, to bring them to prayer, in tune with the heart of Christ. 21. The diocesan bishop or the regular Superior monitor compliance with the closure in monasteries entrusted to them and defend according to their skills, helping the Superior, to which belongs the immediate custody. The diocesan bishop or the regular Superior not ordinarily involved in granting waivers of the closure, but only in particular cases, according to the norms of this Instruction. During canonical visitation, the visitor must verify compliance with the standards of the closure and separation of the spirit world. The Church, by the immense appreciation he has for his vocation, encourage nuns to remain faithful to the cloistered life, living with a sense of responsibility and discipline spirit cloistered community to promote a successful and comprehensive guidance to the contemplation of Triune God. Training must go deep into the person, trying to unify it in a progressive journey of conformity to Jesus Christ and his total offering to the Father. The method must take himself for that and express therefore the property of the whole (73) educated in the wisdom of the heart. (74) It is clear that this formation, precisely because it tends to the transformation of the whole person, not over ever. The specific requirements of the training of those who are called to the contemplative life have been fully exposed in Instruction Potissimum institutioni (Part IV, 72-85). The formation is primarily contemplative faith formation, "foundation and a real scoop contemplation. "(75) Indeed, by faith we learn to discover the constant presence of God to join in charity to the mystery of communion. The renewal of the contemplative life is entrusted, in large part, to the formation of each nun and the whole community, so they can achieve the realization of the divine through the assimilation of their charism. 23. In this respect is particularly important training program, inspired by the charism, to be covered, well-differentiated, early years to solemn profession or perpetual and beyond, which should ensure the endurance of lifelong fidelity . This cloistered communities must have adequate formationis ratio, (76) which form part of the law itself, having been submitted to the Holy See and prior conventual Chapter deliberative vote. The contemplative life must be fed continuously into the mystery of God, for it is essential to give the nuns the basis and method for a personal and community formation that are constant and not limited to regular experiences. 24. The general rule is that the entire cycle of initial and ongoing training is conducted in the monastery. The absence of external activities and stability of members allows gradual advancement and greater participation various stages of training. In the monastery itself, the nun grows and matures in the spiritual life and reaches the grace of contemplation. Training in the monastery itself also has the advantage of favoring the harmony of the whole community. In addition, the monastery, with its distinctive environment and lifestyle, is the most convenient place for the formation process, (79) as the daily food of the Eucharist, the liturgy, lectio divina , Marian devotion, asceticism and work, the exercise of fraternal charity and the experience of solitude and silence, and time factors are essential for the formation of the contemplative life. The Superior of a monastery, as primarily responsible for the formation, (80) favors an adequate initial formation process of the candidates. Also promotes the training of teaching nuns to feed the mystery of God that occurs continuously in the liturgy and in the various moments of monastic life, providing the means to spiritual and doctrinal formation, and finally to a continuous stimulating demand growth as a gift ever new fidelity to the divine call. Education is a right and duty of every monastery, which can be served even collaboration from outsiders, particularly the Institute which eventually was tied. If necessary, the Superior may still allow correspondence courses of the subjects of the training program of the monastery. However, the frequency of training can not replace the gradual and systematic training in the community. Each monastery has to be, in fact, the architect of its own vitality and future, so it needs to be self sufficient especially in the field of training, which can not be addressed only some of its members, but should encompass the whole community, to be rather dynamic progress and spiritual growth. Autonomy favors stability of life and the internal unity of each community, ensuring the best conditions for the exercise of contemplation. This autonomy is a right of the monastery, which by its nature is autonomous, for it can not be limited or diminished by external interventions. However, autonomy does not mean independence of ecclesiastical authority, but it is fair, appropriate and timely information to protect the nature and identity of a life wholly contemplative monastery. The diocesan bishop in monasteries entrusted to their supervision (84) or the regular Superior, if any, play your request under the laws of the Church and the Constitutions. They should indicate their spheres of competence, particularly so as regards the presidential election, the visitation and property management. From the moment that the monasteries are autonomous and independent of, any form of coordination between them, facing the common good requires the free adhesion of the monasteries themselves and the approval of the Apostolic See. 26. Throughout the centuries the Holy Spirit has led the Church in religious families composed of several branches, vitally united by the same spirituality but different from each other and often diversified lifestyle. The monasteries of nuns have had with the respective Institutes male different links, which have resulted in different ways. A relationship between the monasteries and the respective male Institute, saves monastic discipline, can foster growth in the common spirituality. In this light the association of monasteries to male Institute, respecting the legal autonomy of each one, is preserved in the monasteries themselves the genuine spirit of the religious family to embody in a contemplative dimension only. The monastery associated with male Institute maintains its own law and its own government. (85) Therefore, the definition of the reciprocal rights and obligations, oriented toward the spiritual, must safeguard the effective autonomy of the monastery. In the new vision and perspective with which the Church today considers the role and presence of women, must be overcome, if any, that form of legal protection, by the orders of superiors male and regular, which can actually limit the autonomy of the monasteries of nuns. The male superiors should perform their duties with a spirit of collaboration and humble service to avoid creating any undue subordination to the nuns, so they decide to freedom of spirit and sense of responsibility with regard to their religious life. We have to encourage these agencies especially where, having no other effective forms of coordination and support, communities could find themselves unable to meet the basic needs of various kinds. The rules in this document refer to the Federations are equally valid for Partnerships, considering its legal structure and its own statutes. The constitution of any association, federation or confederation of monasteries of nuns is reserved to the Apostolic See, which also falls approve its statutes, exercise surveillance over them and authority, (87) or separate register of them monasteries. The option to join or not is up to each community, whose freedom should be respected. 28. The Federation, for serving the monastery, must respect their legal autonomy and has no authority over the same government, which can not decide on all matters relating to the monastery and has a mandate to represent the Order. The federated monasteries live the fraternal communion in a manner consistent with its cloistered vocation, not with the multitude of meetings and common experiences, but with mutual support and collaboration solicitous aid applications, contributing to the extent possible and respecting their autonomy. Federations, an evangelical spirit of service, seek to respond to the specific needs and real communities by ensuring their dedication only to search for God, regular observance and dynamics of the internal drive. The modalities of collaboration with the Federation monasteries are offered and determined by the Board of Superiors of the monasteries, according to statutes approved, clarify the tasks that the Federation should play for the benefit and support of their monasteries. Ordinarily the Vatican appoints a spiritual assistant, which may delegate, to what he considers necessary or individual cases, some faculties or orders. Wizard is committed: to ensure that the Federation is preserved or accretive genuine spirit entirely contemplative life of the Order itself, working in a spirit of fraternal service in the directory of the Federation and in the most important economic problems and contribute to solid training of novices and professed. 29. The service can offer training that is subsidiary Federation. (89) must develop a federated monasteries formationis ratio , containing detailed implementing rules (90) and will be part of the proper law of a monastery, with the assent of the conventual Chapter monastery itself and after being subjected successively to the Holy See. Each monastery has rightfully her novitiate. However the Federation, even avoiding centralism, can institute a novitiate and other educational services to the monasteries, for lack of candidates, teachers or others, not self-sufficient and want to use them freely, these training services, which will determined the ratio formationis , be developed in a monastery, usually of the Federation (91) respecting the fundamental demands of the contemplative life in seclusion. Federations will endeavor to reach communities gradually being self-sufficient in terms of lifelong learning, which involves a spiritual endeavor and not intermittent but continuous study, in the monasteries favoring the development of a culture and a contemplative mind. 30. Federations can cooperate validly reinvigorate the monasteries, vocational renewed momentum around the essential elements of spirituality, in the wholly contemplative dimension of lifestyle and stimulating fervent observance of the Rule and Constitutions . Anyway up to each community to decide on the request and response, to the extent of its possibilities. The monasteries that can not guarantee regular life or who are in particularly serious circumstances, please contact the President and his Council, to find a suitable solution. On May 1, 1999, the Holy Father approved this document of the Congregation for Institutes of Consecrated Life and Societies of Apostolic Life, authorizing publication. Vatican, May 13, 1999, the Solemnity of the Ascension of the Lord. (1) John Paul II, Apostolic Exhortation. ap. postsynodal Vita consecrata , on consecrated life and mission in the Church and in the world (25 March 1996), 59. (2) Second Vatican Ecumenical Council II, Const. dogm. Dei Verbum, on Divine Revelation, 8, John Paul II, Apostolic Exhortation. ap. postsynodal Vita consecrata , on consecrated life and mission in the Church and in the world (25 March 1996), 14, 32, Catechism of the Catholic Church , 555; S. Thomas Aquinas, Summa Theologiae , III, 45, 4, ad 2: "The whole Trinity appeared: the Father in the voice, the Son in man, the Spirit in the shining cloud"; Cassian, Conference 10, 6: PL 49, 827: "He retired to the mountain to pray, to teach, thereby giving us such retirement, so that we too, if we are challenged to love God with a pure heart and integrity, just as we get away from nagging and confusion of the people ', William of St. Thierry, The brothers of the Mount of God , I, 1: PL 184, 310: "The solitary life was familiarly practiced by the Lord while he was with the disciples, when he was transfigured on the holy mountain, causing in them a desire such as Peter immediately said: What would be happy staying here forever! ». (3) John Paul II, Apostolic Exhortation. ap. postsynodal Vita consecrata , on consecrated life and mission in the Church and in the world (25 March 1996), 28, 112. (4) Second Vatican Ecumenical Council II, Const. dogm. Lumen Gentium , the Church, 63. (5) John Paul II, Enc. Redemptoris Mater (March 25, 1987), 43; Address to Cloistered Nuns(Loreto, September 10, 1995), 2: "What the cloistered life is otherwise continual renewal of a "yes" that opens the doors of his being to the reception of the Savior? You you utter this "yes" in the daily acceptance of God's work and the assiduous contemplation of the mysteries of salvation. " (6) Second Vatican Ecumenical Council II, Const. Sacrosanctum Concilium on the Sacred Liturgy, 2; Congregation for the Doctrine of the Faith, Letter to the Bishops of the Catholic Church on Some Aspects of Christian meditation Orationis Forms (October 15, 1989), 1; Catechism of the Catholic Church , 2566-2567. (7) Second Vatican Ecumenical Council, Decree. Perfectae Caritatis , on the Appropriate Renewal of Religious Life, 7, cf. John Paul II, Angelus (17 November 1996): "What inestimable treasure for the Church and society are the communities of contemplative life! ». (8) Second Vatican Ecumenical Council, Const. dogm. Lumen Gentium , the Church, 46, Paul VI, Motu proprio Ecclesiae sanctae (August 6, 1966), II, 30-31; Sacred Congregation for Religious and Secular Institutes, The Contemplative Dimension of Religious Life ( August 12, 1980), 24-29; Congregation for Institutes of Consecrated Life and Societies of Apostolic Life, Instruction.Potissimum institutioni on training in religious institutes (February 2, 1990), IV, 72-85 , John Paul II, Apostolic Exhortation. ap. postsynodal Vita consecrata , on consecrated life and mission in the Church and in the world (25 March 1996), 8, 59. (9) Paul VI, Apostolic Exhortation. ap. Gaudete in Domino (May 9, 1975), VI: "The Church, in fact, regenerated by the Holy Spirit, as it remains true to its task and mission, is to be regarded as the true" youth world. '" (10) Second Vatican Ecumenical Council II, Const. dogm. Lumen Gentium , the Church, 46; Code of Canon Law , can. 577, Sacred Congregation for Religious and Secular Institutes, Instruction.Venite seorsum , on the contemplative life and the Enclosure of Nuns (15 August 1969), I, John Paul II, Apostolic Exhortation. ap. postsynodal Vita consecrata , on consecrated life and mission in the Church and in the world (25 March 1996), 59; Address to Cloistered Nuns (Nairobi, May 7, 1980), 3: "In your life prayer is praise of Christ continues his Eternal Father. All of his love for the Father and of his obedience to the Father's will is reflected in your consecration radical love. His selfless sacrifice for his Body which is the Church, is expressed in the offering of your life together with his sacrifice. " (11) Second Vatican Ecumenical Council II, Const. dogm. Lumen Gentium , the Church, 46, John Paul II, Apostolic Exhortation. ap. postsynodal Vita consecrata , on consecrated life and mission in the Church and in the world (25 March 1996), 14. (12) John Paul II, Apostolic Exhortation. ap. postsynodal Vita consecrata , on consecrated life and mission in the Church and in the world (25 March 1996), 59. (13) Sacred Congregation for Religious and Secular Institutes, Instruction. Venite seorsum on the Contemplative Life and the Enclosure of Nuns (15 August 1969), I. (14) John Paul II, Apostolic Letter. Mulieris dignitatem (August 15, 1988), 26: "We are at the heart of the Paschal Mystery, which completely reveals the spousal love of God. Christ is the Bridegroom because "it has given himself": his body has been "given" his blood was "poured out" (cf. Lk 22: 19-20). Thus "loved them to the end" ( Jn 13: 1). The "sincere gift" contained in the Sacrifice of the Cross gives definitive prominence to the spousal meaning of God's love. Christ is the Bridegroom of the Church, as the Redeemer of the world. The Eucharist is the sacrament of the Bridegroom and of the Bride . " (15) John Paul II, Apostolic Exhortation. ap. postsynodal Vita consecrata , on consecrated life and mission in the Church and in the world (25 March 1996), 59. Cf Clarisse's Letter on the occasion of the eighth centenary of the birth of St. Clare of Assisi (August 11, 1993), 7: "In reality, the life of Clara was a Eucharist because, like Francisco- rising from its closure a continuous thanksgivingto God through prayer, praise, supplication, intercession, weeping, offering and sacrifice. Welcomed and offered everything the Father in union with the infinite thanksgiving of the only begotten Son "; B. Elizabeth of the Trinity, Writings , Retreat 10, 2: "A praise of glory is always busy on Thanksgiving. Each of their actions, their movements, every thought and every breath, while the more deeply rooted in love, are like an echo of the eternal Sanctus. " (16) See S. Gregory the Great, Homilies on the Gospels , homily 38, 3: PL 76, 1283: "So, in effect, God Father God celebrated the nuptials of her son, when in the womb of the Virgin he joined human nature, when he wanted that it was God before time, should become man at the end of time "; S.Antonio de Padua, Sermons , Sunday 20 after Pentecost, I, 4: "Wisdom, the Son of God, built the house of his humanity in the womb of the Blessed Virgin, supported by seven columns house, that is, the sevenfold gifts of grace. This is the same as saying: will celebrate the nuptials of his Son ", John Paul II, Apostolic Letter. Dies Domini (May 31, 1988), 12: "God is manifested as a husband to his wife (cf. Os 2 16-24: Jr 2, 2, Is 54, 4-8). [...] It should be noted that characterizes the nuptial intensity, from the Old to the New Testament, God's relationship with His people. This is expressed, for example, this marvelous Hosea: "I will espouse you to me forever; betroth you in righteousness and in justice, in love and compassion, will betroth you in faithfulness, and you shall know the Lord" (2 , 22) ". (17) Second Vatican Ecumenical Council, Decree. Perfectae Caritatis , on the Appropriate Renewal of Religious Life, 12: "to all Christians recall that wonderful marriage made ​​by God, to be fully manifest in the century future, by which the Church is only spouse of Christ ", John Paul II, Apostolic Exhortation. ap. postsynodal Vita consecrata , on consecrated life and mission in the Church and in the world (25 March 1996), 3, 34. (18) John Paul II, Apostolic Exhortation. ap. postsynodal Vita consecrata , on consecrated life and mission in the Church and in the world (25 March 1996), 59. (19) Second Vatican Ecumenical Council II, Const. past. Gaudium et Spes , on the Church in the Modern World, 19: "The highest reason for human dignity is the human vocation to communion with God." (20) John Paul II, Apostolic Exhortation. ap. postsynodal Vita consecrata , on consecrated life and mission in the Church and in the world (25 March 1996), 59; Second Vatican Ecumenical Council, Const. Sacrosanctum Concilium on the Sacred Liturgy, 2. (21) John Paul II, Apostolic Exhortation. ap. postsynodal Vita consecrata , on consecrated life and mission in the Church and in the world (25 March 1996), 59; Charter ap. Mulieris dignitatem(August 15, 1988), 20; Sacred Congregation for Religious and Secular Institutes, Instruction. Venite seorsum on the Contemplative Life and the Enclosure of Nuns (August 15, 1969), IV. (22) See S. Ambrosio, Virgin Formation , 24: PL 16, 326-327. (23) John Paul II, Apostolic Exhortation. ap. postsynodal Vita consecrata , on consecrated life and mission in the Church and in the world (25 March 1996), 59. (24) See S. Benedict, Rule , 72, 11: "Not putting absolutely nothing to Christ": CSEL 75, 5163, Maximus the Confessor, ascetic Paper , n. 43: PG 90, 953 B: "Let's give the Lord with all your heart to receive him completely", John Paul II, Letter to the Discalced Carmelites occasion of the fourth centenary of the death of Santa Teresa (31 May 1982), 5: "No doubt the Carmelites today, no less than those of yesterday, cheerfully tend to the goal of this all, to adequately respond to the profound instances bursting from a total love for Christ and unreserved surrender to mission of the Church. " (25) S. Gregory the Great, Homilies on Ezekiel , Book 2, Homily 8, 16: CCL 142, 348: "When a person gives to God Almighty all you have, your life, everything you own is a holocaust ... And this is what the left this time. " (26) Second Vatican Ecumenical Council, Decree. Perfectae Caritatis , on the Appropriate Renewal of Religious Life, 7. (27) See S. Augustine, Sermon 339, 4: PL 38.1481: "No one would exceed in the will to live in full security of contemplation, there is nothing better, nothing more sweet and good to scrutinize the divine treasure without noise, is something sweet good ', Guido I, "In Praise of the solitary life," Customs , 80, 11: PL 153, 757-758: "Nothing better than loneliness to promote softness of psalmody, the reading application, the fervor of prayer, insight meditation, ecstasy of contemplation and baptism of tears "; S. Euquerio of Lyon, "Praise eremo" Letters to Hilario , 3: PL 50, 702-703: "Rightly called the uncircumcised eremo temple of our God ... Surely God must believe that there is more immediately, where he may be found more easily. " (28) See S. Basil, The true integrity of virginity , 49: PG 30, 765 C: "The soul of the virgin bride of Christ, is like a pure source ... it must not be disturbed by words from abroad and communicate ear, or distracted from its serene tranquility for images that distract the eye, so that, beholding as in a mirror image and the pure beauty of the Bridegroom, will fill more and more of your true love. " (29) See S. John of the Cross, Ascent of Mount Carmel , 2, 5, 6. (30) S. Gregory Nazianzen, Poems , I, 2, 1, v. 20: PG 37, 523. (31) John Paul II, Address to the cloistered nuns (Loreto, September 10, 1995), 3. (32) See S. Buenaventura, in honor of S. Agnes V. and M. , Serm. 1: Opera Omnia , IX, 504 b: "When a person is like how soft the Lord, turns away from all outdoor occupations; then enters your heart and fully available to the contemplation of God directed entirely to the eternal splendor; becomes radiant and is owned by the eternal splendor. If you see this beautiful soul incomparable, all links in this world could no longer be separated from Him. " (33) Sacred Congregation for Religious and Secular Institutes, The Contemplative Dimension of Religious Life (August 12, 1980), 26; Congregation for Institutes of Consecrated Life and Societies of Apostolic Life, Instruction. Fraternal Life in Community (February 2, 1994), 59: "The contemplative type of community (which presents Christ in the mountain) is centered on the double communion with God and with their members. It has an efficacious apostolic impact, however, remains largely hidden in mystery ", John Paul II, Address to the clergy, consecrated and nuns(Chiavari, September 18, 1998), 4: "Now I wish to address a special word to you, dear nuns, who make up the sign of the exclusive union of the Church as Bride with her ​​Lord, who is loved. Sending you an irresistible attraction that draws you to God, exclusive goal of all your feelings and all your actions. The contemplation of the beauty of God has become your inheritance, your program of life, your way of being present in the Church. " (34) Second Vatican Ecumenical Council II, Const. dogm. Lumen Gentium , the Church, 4: "It appears the whole Church as the people united" for the unity of the Father, the Son and the Holy Spirit '"; S. Cipriano, The Lord's Prayer , 23: PL 4, 536. (35) John Paul II, Apostolic Exhortation. ap. postsynodal Vita consecrata , on consecrated life and mission in the Church and in the world (25 March 1996), 46; Congregation for Institutes of Consecrated Life and Societies of Apostolic Life, Instruction. Fraternal Life in Community ( February 2, 1994), 10: "The fraternal life in common, in a monastery, is called to be a living sign of the mystery of the Church." (36) John Paul II, Apostolic Exhortation. ap. postsynodal Vita consecrata , on consecrated life and mission in the Church and in the world (25 March 1996), 42. (37) Second Vatican Ecumenical Council II, Decree. Ad gentes , on the Missionary Activity of the Church, 2. (38) John Paul II, Apostolic Exhortation. ap. postsynodal Vita consecrata , on consecrated life and mission in the Church and in the world (25 March 1996), 72; Charter Enc. Redemptoris Missio(December 7, 1990), 23. (39) Second Vatican Ecumenical Council II, Decree. Perfectae Caritatis , on the Appropriate Renewal of Religious Life, 7, John Paul II, Apostolic Exhortation. ap. postsynodal Vita consecrata , on consecrated life and mission in the Church and in the world (25 March 1996), 8, 59. (40) See Catechism of the Catholic Church , 953; S. Clara de Asis, 3 Letter to Agnes of Prague, 8; Writings : SC 325, 102: "And, to borrow the words of the Apostle, I think God himself contributor and supporter of the weak and wavering members of his own mysterious body" . (41) Spiritual Canticle 29, 2, cf. John Paul II, Homily at St. Peter's Basilica (November 30, 1997), 5: "At contemplative nuns ask them are located in the heart of the mission with his constant prayer of adoration and contemplation of the mystery of the cross and the resurrection. " (43) John Paul II, Address to the cloistered nuns (Nairobi, May 7, 1980), 2, cf. Second Vatican Ecumenical Council, Decree. Ad gentes , on the Missionary Activity of the Church, 40: "The Institutes of contemplative life, for your prayers, acts of penance and tribulations, are paramount in the conversion of souls, being God himself, through prayer, send forth laborers into his harvest (cf. Mt9: 38), opens the minds of non-Christians to hear the Gospel (cf. Acts 16, 14) and the word of salvation fruitful in their hearts (cf. 1 Cor 3, 7). " (44) Cf B. Jordan of Saxony, Letter IV to B. Diana d'Andalo : "What you fulfill your stillness, I fill up walking from place to place: all that we do for love. He is our only goal. " (45) John Paul II, Address to the cloistered nuns (Loreto, September 10, 1995), 4. (46) See S. Irenaeus, Against Heresies , 4, 20, 8ff: PG 7, 1037: "Not only the prophets prophesied talking, but watching and talking with God and all actions performed, as I suggested doing the Spirit." (47) John Paul II, Apostolic Exhortation. ap. postsynodal Vita consecrata , on consecrated life and mission in the Church and in the world (25 March 1996), 59. (49) Cf Second Vatican Ecumenical Council, Decree. Ad Gentes , on the Missionary Activity of the Church, 18. (50) Second Vatican Ecumenical Council II, Const. dogm. Lumen Gentium , the Church, 45; Decr.Christus Dominus , on the Pastoral Office of Bishops, 15; Code of Canon Law , can. 586, 2. (51) Sacred Congregation for Religious and Secular Institutes and Sacred Congregation for Bishops, Directives Mutuae relationes (14 May 1978), 25; Sacred Congregation for Religious and Secular Institutes, The contemplative dimension of religious life (12 August 1980), 26. (52) Second Vatican Ecumenical Council, Const. dogm. Lumen Gentium , the Church, 46. (53) Sacred Congregation for Religious and Secular Institutes, Instruction. Venite seorsum on the Contemplative Life and the Enclosure of Nuns (15 August 1969), VII. (54) John Paul II, Address to the Plenary Session of the Congregation for Religious and Secular Institutes (7 March 1980), 3: "Indeed, the abandonment of the closure would fail on one specific forms of religious life with which the Church manifests to the world the primacy of contemplation over action, of what is eternal about what is temporary. " (55) Code of Canon Law, can. 667 § 3, cf. Sacred Congregation for Religious and Secular Institutes, Instruction. Venite seorsum on the Contemplative Life and the Enclosure of Nuns (15 August 1969), Normae, 1. (56) Paul VI, Motu proprio Ecclesiae sanctae (August 6, 1966), II, 30. (57) Sacred Congregation for Religious and Secular Institutes, Instruction. Venite seorsum on the Contemplative Life and the Enclosure of Nuns (August 15, 1969), IV. (58) Second Vatican Ecumenical Council II, Decree. Perfectae Caritatis , on the Appropriate Renewal of Religious Life, 7, John Paul II, Apostolic Exhortation. ap. postsynodal Vita consecrata , on consecrated life and mission in the Church and in the world (25 March 1996), 8; Address to the contemplative nuns at the Carmel of Lisieux (2 June 1980), 4: "Love your separation from the world, comparable in all the biblical desert. Paradoxically, this is not the empty desert. Here the Lord speaks to your heart and associates you closely to his work of salvation "; Sacred Congregation for Religious and Secular Institutes, The Contemplative Dimension of Religious Life (August 12, 1980), 29. (59) Cf. Code of Canon Law , can. 674. (60) John Paul II, Address to the cloistered nuns (Bologna, September 28, 1997), 4: "Your life, whose separation from the world, expressed in concrete and effective, proclaims the primacy of God constitutes a constant call to the preeminence of contemplation over action, of the eternal over the temporal. " (61) Paul VI, Motu Proprio Ecclesiae sanctae (August 6, 1966), II, 31. (62) Cf. Code of Canon Law , can. 667, § 3. (63) Second Vatican Ecumenical Council II, Decree. Perfectae Caritatis , on the Appropriate Renewal of Religious Life, 9, John Paul II, Apostolic Exhortation. ap. postsynodal Vita consecrata , on consecrated life and mission in the Church and in the world (25 March 1996), 6. (64) Cf. Code of Canon Law , can. 667, § 3. (65) Second Vatican Ecumenical Council II, Decree. Perfectae Caritatis , on the Appropriate Renewal of Religious Life, 16; Sacred Congregation for Religious and Secular Institutes, Instruction.Venite seorsum , on the contemplative life and Enclosure of Nuns (15 August 1969), Normae 1; 9. (66) John Paul II, Apostolic Exhortation. ap. postsynodal Vita consecrata , on consecrated life and mission in the Church and in the world (25 March 1996), 59. (67) Cf. Code of Canon Law , can. 667, § 4. (68) Cf Congregation for Institutes of Consecrated Life and Societies of Apostolic Life, Instruction.Potissimum institutioni on training in religious institutes (February 2, 1990), IV, 81, 82. (70) When it comes to transfers Nuns final or solemn vows, have to follow the provisions of can.684, § 3. (71) Cf. Code of Canon Law , can. 666: "Observe the necessary discretion in the use of the media." (72) John Paul II, Apostolic Exhortation. ap. postsynodal Vita consecrata , on consecrated life and mission in the Church and in the world (25 March 1996), 65. (74) Second Vatican Ecumenical Council II, Decree. Optatam totius on priestly formation, 16, note 32; S. Buenaventura, Journey of the Mind into God , Prol. n. 4: Opera omnia V, 296: "Let no one think that it is enough to read without unction, speculation without devotion, research without admiration, circumspection without exultation, industry without piety, knowledge without love , intelligence without humility, study without grace, the mirror without divinely inspired wisdom. " (75) Congregation for Institutes of Consecrated Life and Societies of Apostolic Life, Instruction.Potissimum institutioni on training in religious institutes (February 2, 1990), 74. (76) John Paul II, Apostolic Exhortation. ap. postsynodal Vita consecrata , on consecrated life and mission in the Church and in the world (25 March 1996), 68; Congregation for Institutes of Consecrated Life and Societies of Apostolic Life, Instruction. Potissimum institutioni on training in Religious Institutes (February 2, 1990), 85. (77) John Paul II, Catechesis at the General Audience (January 4, 1995), 8: "The contemplative engaged ... offering a state as high staff requiring a special vocation, which must be verified before admission or final profession. " (78) Second Vatican Ecumenical Council, Const. dogm. Dei Verbum, on Divine Revelation, 24, cf.Const. past. Gaudium et Spes , on the Church in the Modern World, 22: "does the mystery of man take on light only in the mystery of the Incarnate Word. For Adam, the first man, was a figure of Him who was to come (cf. Rom 5: 14), that is, Christ the Lord. Christ, the final Adam, by the revelation of the mystery of the Father and His love, fully reveals man to himself and brings to light his most high calling. " (79) Cf Congregation for Institutes of Consecrated Life and Societies of Apostolic Life, Instruction.Potissimum institutioni on training in religious institutes (February 2, 1990), 81. John Paul II,Address to the cloistered nuns (Bologna, September 28, 1997), 5: "Your cloistered communities, with their own rhythm of prayer and exercise of fraternal charity, where solitude is filled with soft Lord's presence and silence prepares the mind for listening to your suggestions interiors are where each day I love you form on this knowledge of the Father. " (80) Cf. Code of Canon Law , can. 619, 641, 661. (81) Cf Congregation for Institutes of Consecrated Life and Societies of Apostolic Life, Instruction.Potissimum institutioni on training in religious institutes (February 2, 1990), 82. (82) Cf. Code of Canon Law , can. 586, § 1. (83) See ibid. , can. 586. § 2. (84) See ibid. , can. 615. (85) See ibid. , can. 614. (86) See Pius XII, Const. ap. sponsa Christi (Nov. 21, 1950), VII, § 2, 2, John Paul II, Apostolic Exhortation. ap. postsynodal Vita consecrata , on consecrated life and mission in the Church and in the world (25 March 1996), 59. (87) See Pius XII, Const. ap. sponsa Christi (Nov. 21, 1950), VII, § 3, § 4, § 6. (88) John Paul II, Apostolic Exhortation. ap. postsynodal Vita consecrata , on consecrated life and mission in the Church and in the world (25 March 1996), 59. (89) Cf Congregation for Institutes of Consecrated Life and Societies of Apostolic Life, Instruction.Potissimum institutioni on training in religious institutes (February 2, 1990), 81, 82. (90) See ibid. , 85. (91) Cf Congregation for Institutes of Consecrated Life and Societies of Apostolic Life, Instruction.Potissimum institutioni on training in religious institutes (February 2, 1990), 82. (92) See Pius XII, Const. ap. sponsa Christi (Nov. 21, 1950), VII, § 8, 3. (93) Second Vatican Ecumenical Council II, Decree. Perfectae Caritatis , on the Appropriate Renewal of Religious Life, 21; Code of Canon Law , can. 616, § 4. (94) John Paul II, Apostolic Exhortation. ap. postsynodal Vita consecrata , on consecrated life and mission in the Church and in the world (25 March 1996), 109. (95) Address to Cloistered Nuns (Loreto, September 10, 1995), 4.